The best memories are made when you find that perfect escape that has something for everyone to love. Picture perfect memories are waiting to be discovered at Lake Edge Resort. 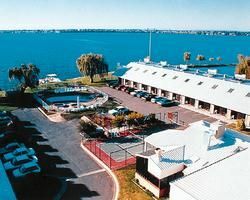 Your new favorite resort is just a few steps away from beautiful Lake Mulwala in Australia. Embark on a cruise boat to go sightseeing, tour wineries, visit towns where you'll be immersed in history, listen to great bands and try your hand at the poker machines at the Mulwala Water Ski Club. 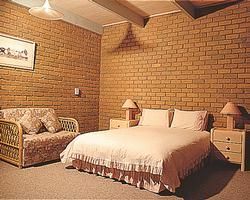 Or, you can simply relax and enjoy swimming in the outdoor pool or soak in a hot tub. Winter sports lovers find perfect conditions in the Alpine region, a short two hours away. 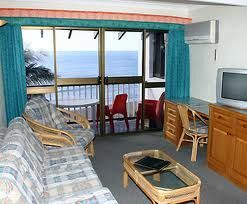 The one and two bedroom thoughtfully furnished units of Lake Edge Resort feature two bathrooms, comfortable air conditioning, a full size kitchen with a dishwasher, microwave and cooking hotplate, color TV and carpeting. Some units also include washer, dryer and a spa. 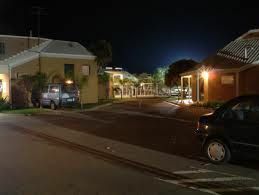 All units are designed for visitor's comfort so you're sure to enjoy every moment of your escape when you rent or buy one of these Australia timeshare resales. You'll love having an indoor and outdoor pool to use any time, along with tennis courts, a game room and sauna. Gorgeous green golf courses are nearby to challenge the heartiest golf aficionados. Fishing excursions give you amazing challenges, and nearby Lake Mulwala offers water-skiing and sailing. A specially provided barbecue pontoon boat offers fun, memory-making afternoons on the water. Everything you could need has been taken into consideration. If your unit doesn't have a washer and dryer, you will find a laundry facility on the premises. 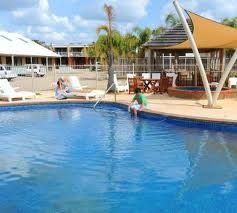 Part of the enjoyment of owning one of the Australia timeshare resales at Lake Edge is knowing you can come back to re-live the relaxation, happy memories and fun times. 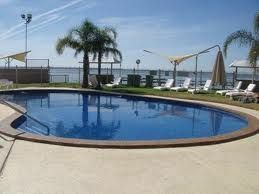 You'll find your Australian paradise at Lake Edge Resort in beautiful Mulwala, New South Wales. With everything you need for an enjoyable and adventure packed getaway, this will quickly become your go-to destination for making all your best memories. Contact Lake Edge Specialist Today!